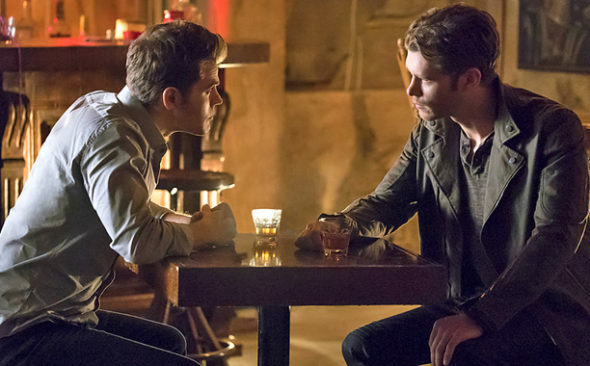 The Vampire Diaries and The Originals have both been renewed by CW for the 2016-2017 season, and fans could see more crossovers between the two series next season. In addition to Matt Donovan appearing on The Originals, Paul Wesley’s Stefan Salvatore also searched out Klaus on The Vampire Diaries, and he stayed around for an episode of the spin-off. Are you excited to see more crossovers between these The Vampire Diaries and The Originals next season? Tell us what you think. More about: The Originals, The Originals: canceled or renewed?, The Vampire Diaries, The Vampire Diaries: canceled or renewed? I absolutely love The Vampire Diaries and the Originals! I don’t think they should cancel TVD’s because Nina Is not there! The brothers plus Caroline, the twins and Bonnie leave a lot of story to tell!!! TVD to me has always been about the brothers! Lovers come and go! The Originals with Hope now in the picture I see a few great seasons! As a loyal fan I would hate seeing them canceled!!! What’s there to think about just do it . I love the Vampire Diaries and The Originals. Crossovers are the best!